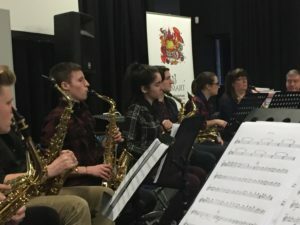 Saxophone Workshop at the University of Chichester. University of Chichester, College Lane, Chichester PO19 6PE. 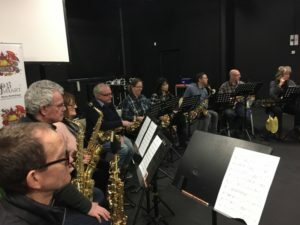 We are pleased to announce a two day saxophone workshop on 15th-16th June 2019 at the University of Chichester with south coast based saxophonist and educator James Rawlinson. James has more than 20 years of experience playing in various types of ensembles including The Red Fez Orchestra, The Regular Joes, Forza Saxophone Quartet, The Bevin Boys and more. Over the two days James will be assisted by Andrew Blee (Dorset based saxophonist and teacher). The weekend will concentrate on playing, directing and developing your ensemble skills. We will deal with a range of styles and genres and feel free to bring along your own quartet or larger ensemble arrangements. There will also be chance to work on your solo playing, tone development, sight-reading and rhythm work. There will be sessions as a massed group as well as smaller group sessions. This is not a Jazz course but there will be time for some improvisation work for those who are curious or in need of improvement. Preformed, existing Sax quartets are welcome and can work for the two days as a group or for some of the course. We can offer single bed accommodation with en-suite bathroom at an additional cost. The University have accommodation available for either £60 for the Friday night, or £120 for two nights, including breakfast (Friday and Saturday night). Located on the main campus with parking included. Please contact us if you have further questions about this, and accommodation can be booked at the same time as the course. Booking couldn’t be easier. Book via ticketsource fast and secure. Alternatively if you have any questions on the suitability of this course for you we will be happy to help. Contact at info@jazzsmart.com or by calling 07708 091675 and we will be happy to discuss your needs further. Intermediate (approximately Grades 4-5) - Want to be a pushed a little further? Then this course is for you. We have music that will push your reading and abilities, and include in more detail subject topics such as style, musical interpretation and better technique. Advanced (Grades 6+) - Challenging music and tutoring to develop your understanding of rhythms, musical expression, and technique. Not provided, we recommend bringing a packed lunch or using the local amenities. Tea, coffee and cold refreshments are included for all participants.